that has come to you. 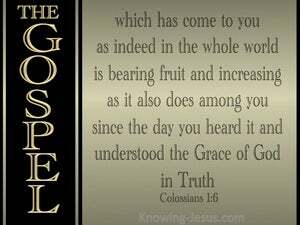 It is bearing fruit and growing all over the world, just as it has among you since the day you heard it and recognized God's grace in the truth. being present for you, just as also in all the world. 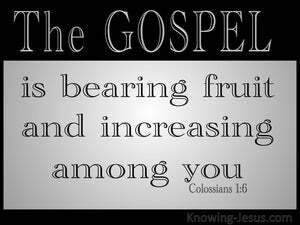 And it is bearing fruit and increasing, just as also among you from the day that ye heard and recognized the grace of God in truth. came to you. 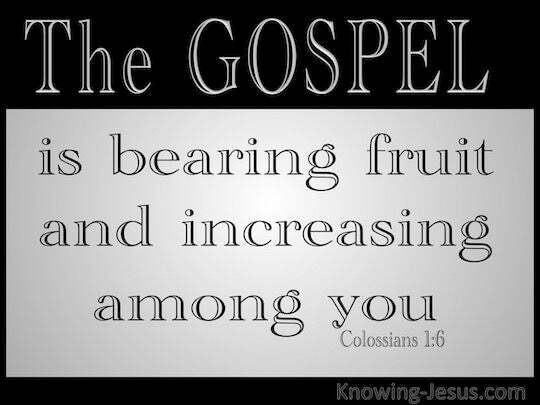 This Gospel is [now] also producing fruit all over the world [i.e., throughout the Roman Empire] and growing [in its influence], just as it is doing among you people also, since the day you [first] heard and understood God's unearned favor in [all its] truth. which has reached you as it spreads over all the world with fruit and increase. 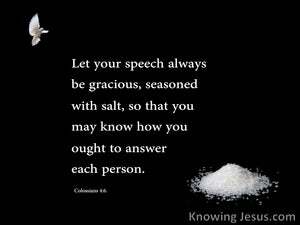 Such has been your life from the day you learned to know what God's grace really is. Bearing fruit and growing, as it does, through all the world, just as it did among you, from the very day that you heard of God's loving-kindness, and understood what that loving-kindness really is. which is come unto you, even as in all the world, and is fruitful; as it hath been also among you, from the day in which ye heard and knew the grace of God in truth. Through Silvanus, our faithful brother (for so I regard him), I have written to you briefly, exhorting and testifying that this is the true grace of God Stand firm in it!